The chartline assembly is centred in front of the cockpit for easy access. Made from soft, bright neoprene, delicate on bare feet but strong enough to store the large important items. First, install footrests & extrusion. Find appropriate placement of footrest for your size. Thigh\Knee pads--contoured to ensure a better fit. These pads are CNC machined to fit into our kayaks. Place eyelets in appropriate places and install using 3/16" drill bits & tighten. Recommended use with rescue strap kit or stern shockcord kit and straps to hold lid down. Our foam seats are contour formed for maximum comfort and adjustable for individual size and needs. Footrests are constructed from aluminium and hard, extruded plastic parts. Makes using and viewing your GPS easier and more convenient. Clips to your kayak; is light and will float with your GPS attached. On Nimbus™ kayaks, universal rescue straps will fit in the pre-designed flush recesses. For all other boats, place straps parallel to seams, just behind cockpit rim. Stern shock cord is generally used to hold down stern lid and for easy access to stern deck rigging. A sturdy, easy to assemble cart that can be disassembled completely for easy storage in a kayak or canoe. 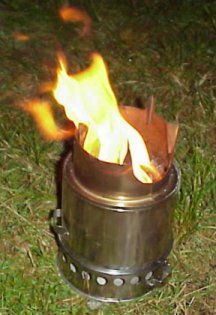 This stove was designed to provide the cooking needs of one or two people. Streamline Flush mount hatch lid straps.